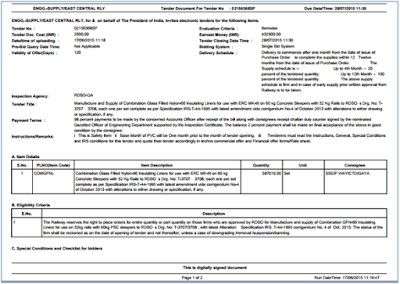 How to submit Techno-commercial Bids in IREPS tenders? Search the tender through Advance Search or Quick Search or go to 'My Tenders (Not Yet Closed)' inbox from your home page after logged in. Pay the TDC and EMD amount and after that click on 'Enter to Bid' button or 'Bid Process' icon to proceed further for submission of techno-commercial bids. Techno-commercial bids divided into 8 parts that are Eligibility Criteria, Terms & Conditions, Attach Documents, Commercial Deviation, Technical Specification, Technical Deviation, Special Conditions & Checklists and Performance Statement. The part shown with * are mandatory to sign. Once you have signed and submit all mandatory parts then you can proceed further for financial bidding, if you have not signed all the mandatory tabs then you will get an alert message on clicking financial offer tab. You need to select one radio button (Yes or No) corresponding to each and every eligibility criteria that you are complying or not for that criteria. 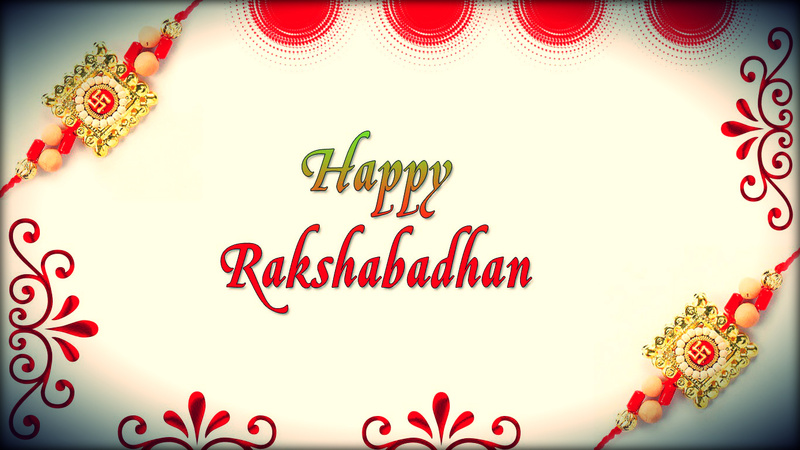 In case if you are not complying eligibility criteria then remark is mandatory for that. 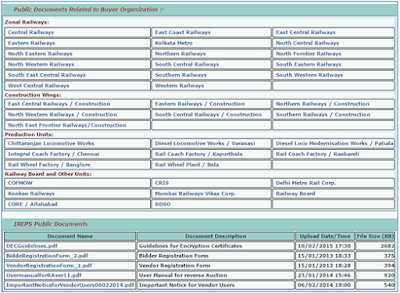 Indian Railways actively encourages ISI certified manufacturers to participate in its e-procurement process. 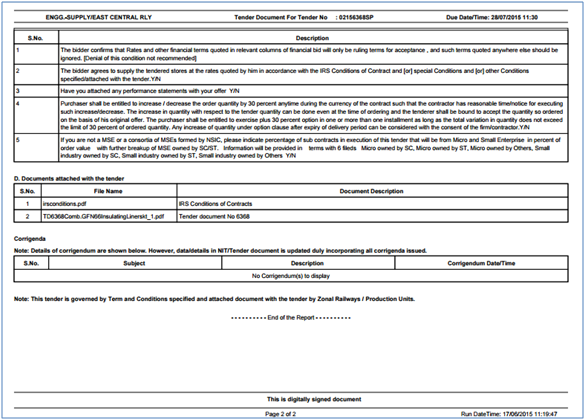 ISI products are accepted on their test certificate without third party inspection. More than 8,06,538 Tenders issued through IREPS. 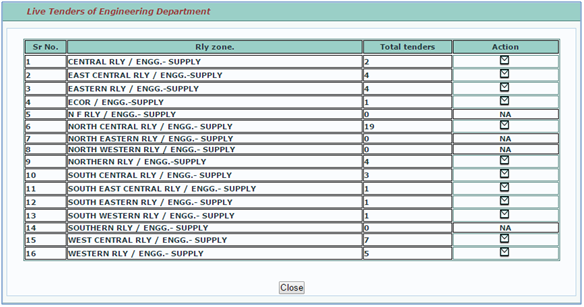 More than 28,951 Vendors registered with IREPS for e-tendering. More than 2,231 Bidders registered with IREPS for e-auction. Scrap of more than 6,504 Crores sold through E-Auction on IREPS. IREPS Blog wishes you a very happy and prosperous Diwali. IREPS Error Message: Please sign with your own certificate. 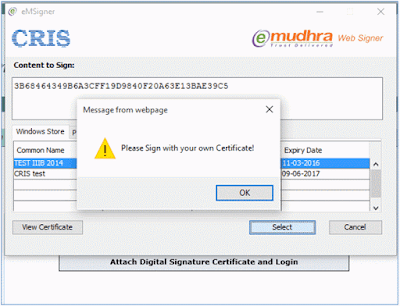 If you are getting the error message 'Please sign with your own certificate' while attaching digital signature certificate at the time of login or signing then it means you are not attaching the certificate which is attached with your profile. IREPS e-Tender: How to pay the Earnest Money Deposit (EMD) in IREPS Tenders? Earnest Money Deposit (EMD) can be paid through manual payment or exempted. 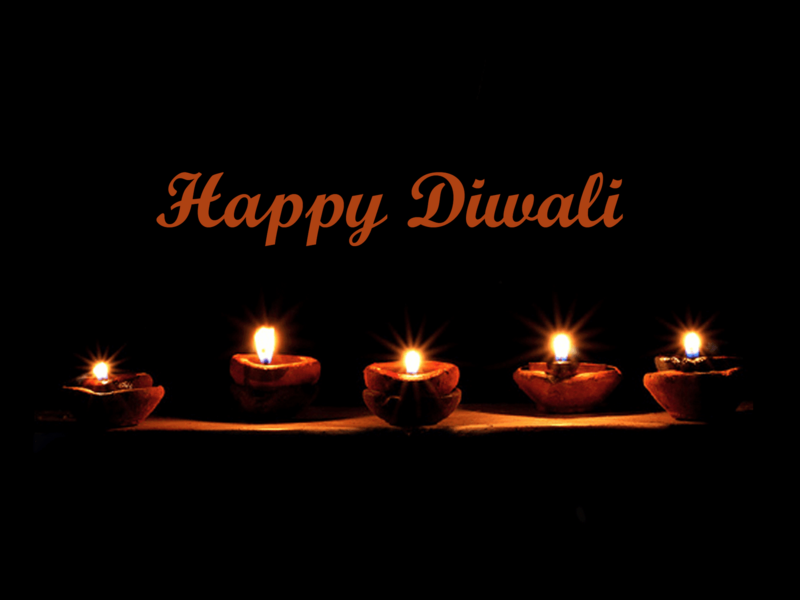 Vendors can pay the EMD amount through manual payment in INR. EMD amount can be paid in parts also. Online Payment for EMD is not available currently. Manual Payment: Manual payment can be made by the vendor for EMD amount through Banker’s Cheque, Cash Receipt, DD, Pay Order and Others. 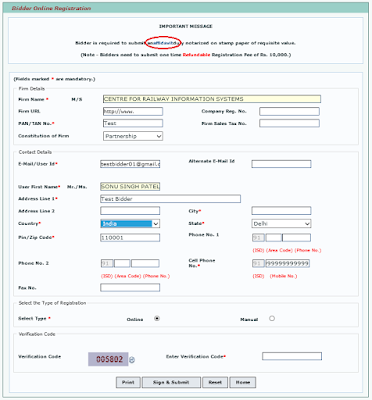 To submit the payment details vendor user need to select the instrument type and give the other details like instrument number, date etc. and click on submit button. IREPS e-Tender: How to pay the Tender Document Cost (TDC) in IREPS Tenders? Vendor users need to pay the Tender Document Cost (TDC) for Open Tenders (Advertise Tenders) to view the complete Tender Document and to proceed further for bidding. Click on the ‘Submit Payment Details’ icon to go to payment TDC payment page. There are three modes of payments available Online, Manual and Exempted; the user can go through with anyone of these. Error Code : ADM.007, your password has expired, please change your password. 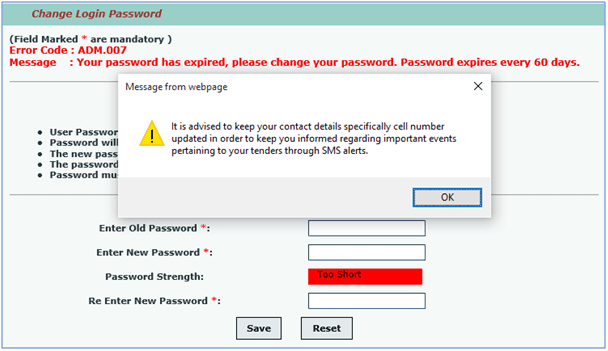 Message: Your password has expired, please change your password. 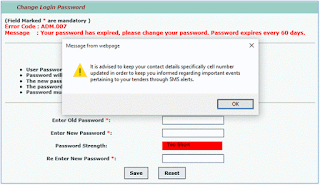 Password expires every 60 days. If you get this error in IREPS application after login then it means your login password becomes 60 days old and you need to change it. e-Tender Error: You are not listed in the Vendors list associated with this tender. Please select another tender... !! Error: You are not listed in the Vendors list associated with this tender. Please select another tender... !! 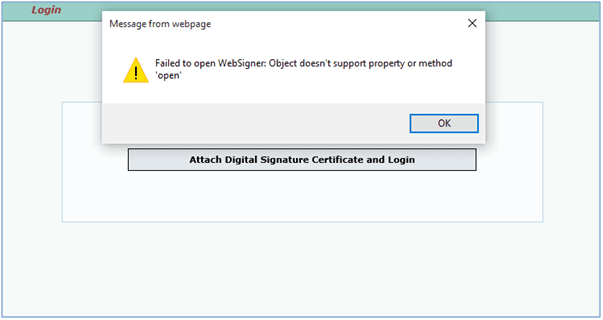 Why you are getting this error? You are getting this error because you are trying to pay the Tender Document Cost (TDC) amount to participate in a tender which is not a Open Tender (Advertise Tender). For tenders other than open tender (Limited, PAC, Bulletin etc.) 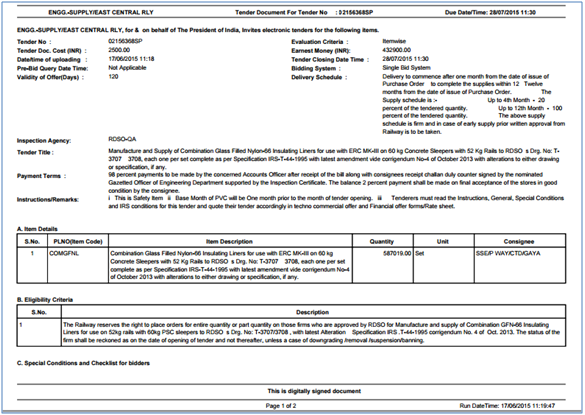 you can only see the tender document but cannot submit the TDC or bid. 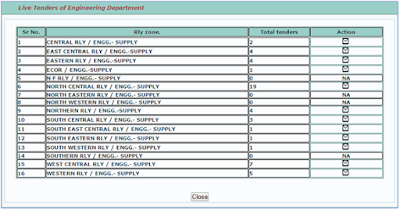 In searches you will not get the icons for Submit Payment, Bid Process for these type of tenders (Limited, PAC, Bulletin etc.). What are Indigenous Offer & Foreign Currency Offer for Global Tenders? In global tenders when you will go to submit the financial bids for a tender then you will find two options (Indigenous bid & Foreign Currency bid) for submiting the bid corresponding to each and every item. How to submit Alternate Offer for Global Tender in IREPS Application? Vendors are not permitted to edit/change their financial bids for an item once it is signed and submitted to the system using their Digital Signature Certificate, as the Financial Bid details are stored in an encrypted form in the server. 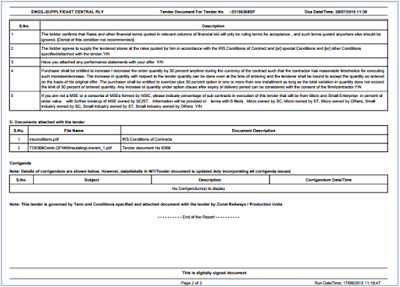 How to submit revised offer for Global Tenders in IREPS Application? Vendors are not permitted to edit/change their financial bids for an item once it is signed and submitted to the system using their Digital Signature Certificate, as the Financial Bid details are stored in an encrypted form in the server. However, vendors are given the option of Revised Bid using which the previous bid can be revised. IREPS e-Tender: How to pay the Earnest Money Deposit (EMD) for Global Tender in IREPS? Earnest Money Deposit (EMD) can be paid through manual payment or exempted. Vendors can pay the EMD amount through manual payment in INR or USD or in any other currency by selecting the currency from drop down. EMD amount can be paid in parts also. 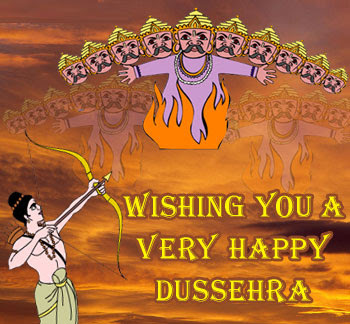 Manual Payment: Manual payment can be made by vendor for EMD amount through Banker’s Cheque, Cash Receipt, DD, Pay Order and Others. For M&P tenders you will get one more option Bank Guarantee to pay the EMD amount. 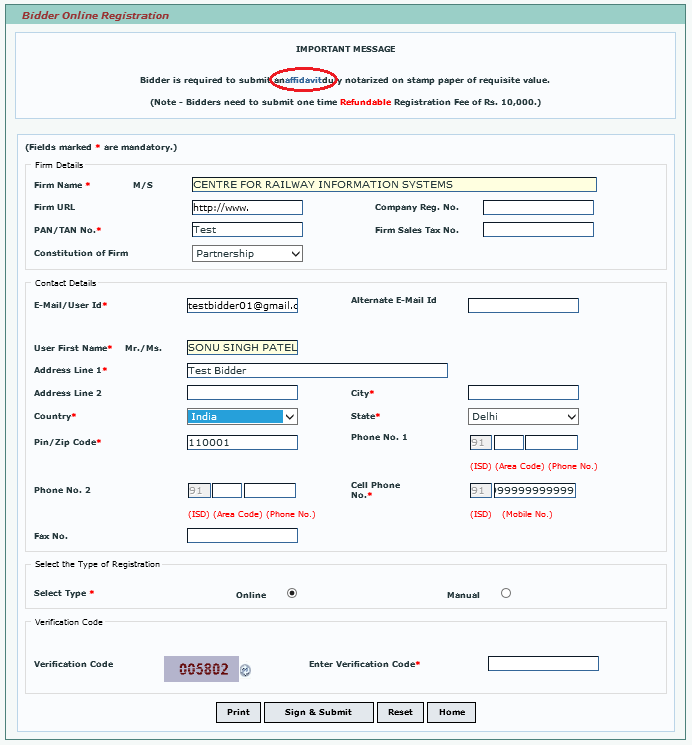 To submit the payment details vendor user need to select the instrument type and give the other details like instrument number, date etc. and click on submit button. 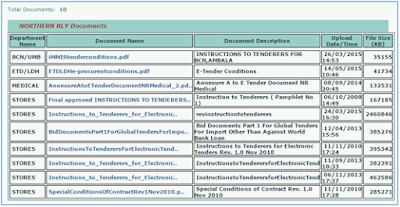 IREPS e-Tender: How to pay the Tender Document Cost (TDC) for Global Tenders in IREPS? 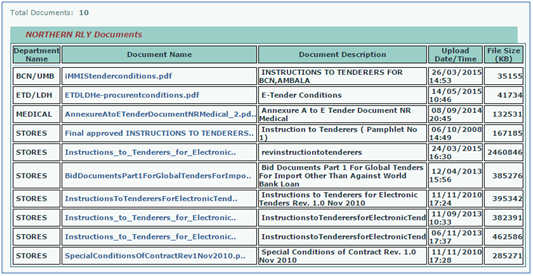 Vendor users need to pay the Tender Document Cost (TDC) for Global Open Tenders (Advertise Tenders) to view the complete Tender Document and to proceed further for bidding. IREPS e-Tender: How to search and view e-tender from IREPS application? IREPS users can search the tenders using Quick Search or Advance Search options available on www.ireps.gov.in. Both types of users registered and non-registered (anonymous) can use this advance search to search the tenders but options are limited to non-registered users. Quick Search: To search the tenders through quick search you need to give the minimum three characters of the tender number or PL No. (Item Code) as input. Advance Search: To search the tenders through advanced search you do not need to give any input i.e. you can search the tenders through advanced search by selection of different search criteria. Anonymous user will be able to view NIT for all published tenders. Logged in vendor users can view NIT for all published tenders but can submit the bids for open tenders and all other tenders addressed to him/her. 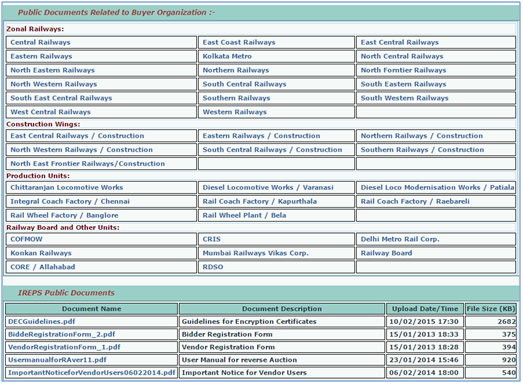 Logged in Railway user can view all tenders (irrespective of Railway/department, tender type) except that he/she will be able to view draft tenders pertaining to only his/her sections. IREPS e-Tender: How long will it take to get user id and password for vendors after registration with IREPS Application? IREPS requires minimum three (3) clear working days to accept or reject a new vendor registration request. 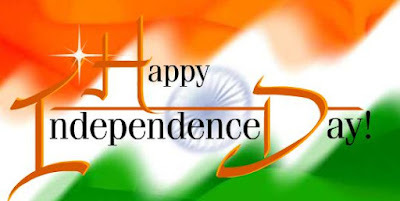 User Id (email address provided during registration) and Password will be sent to vendor's e-mail address provided by them during the registration process. For any clarification (like VAT No. etc.) IREPS may ask for the related documents on email. If all information provided by vendor found appropriate then your registration request will be accepted by IREPS and you will get an email containing the user id and password. In case of any difference provided by the vendor and that available in the digital signature used during registration or submitting duplicate registration or failed to provide the document(s) asked by IREPS, the registration request will be rejected and an email will be sent duly assigning the reason of rejection. Note: Vendors are advised to furnish correct and valid e-mail address which currently being used by them, otherwise email containing Password may not be received by the vendors due to furnishing of invalid e-mail id during the registration process. What are the prerequisites for registration with IREPS application?